Sawant’s 2013 victory sent shock waves through the Seattle establishment by unseating a seemingly entrenched Democratic incumbent to squeeze out a narrow victory. Over the next two years, the big question became framed as: was this a one-off fluke or would she be able to make a difference as a lone socialist, take on the local establishment and still get reelected? The answer came as a resounding yes when the ballots were counted and Sawant came in with 56 per cent to her opponent’s 44 per cent. 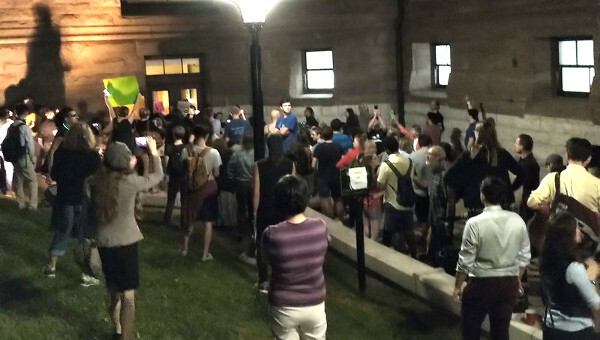 So what had happened in the previous four years to allow this to happen and what lessons, if any, can be drawn for the Canadian left (whether that left is inside the NDP or outside)? dissipated after a few months. Sawant herself was prominent in Occupy Seattle – she was the person who went to her union, AFT Local 1789, to push them to get the City College administration to open up the grounds of Seattle Central College for the Occupy encampment to move to after they were cleared from downtown by the police. They remained there for two months. Sawant joined with other Occupy activists working with local organizations to resist home evictions and foreclosures. She was arrested with several other Occupy activists … for blocking King County Sheriff’s Deputies from evicting a man from his home. 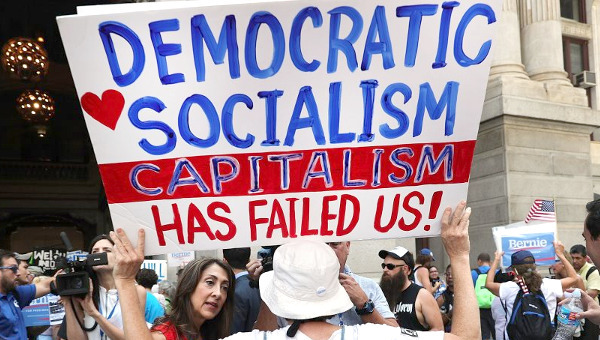 As the direct activism ebbed in Seattle, one of the left groups, Socialist Alternative (SA) proposed that Occupy should test out the electoral arena by running candidates in the 2012 State elections. The suggestion did not find an echo so SA decided to run a candidate under its own banner. Even at that time, the Seattle branch of SA had a strong base with some 50 members. Sawant was the lucky one to run. It was against Frank Chopp, Democratic Speaker of the Washington State House and the second most powerful politician in the State. She didn’t win but got a creditable 29 per cent support. The endorsement of Seattle’s alternative paper, The Stranger , played a significant role in the socialist outlier getting such a noteworthy result. This was an encouragement for future endeavours. For the city Council elections of 2013, SA decided to run candidates in three cities – Seattle (Kshama Sawant); Minneapolis (Ty Moore) and Boston (Seamus Whelan). Sawant triumphed with 52% beating a 16 year incumbent, dubbed by The Stranger as “a greenwashing liberal fraud.” Moore got 49% – coming within 229 votes of winning the seat. Whelan’s campaign, while it had some local impact, was unable to break out of a crowded field. All three candidates ran as open Socialists and members of Socialist Alternative on an anti-austerity, anti-capitalist, pro-worker position. The latter included fighting for affordable housing, taxing the rich and support for a city wide enactment of $15 an hour minimum wage, a demand that had first taken off the year previously with strikes from fast food workers in New York. The demand for 15 really gained traction in Seattle and, over the next few months, it came to be identified with Sawant and SA. In the airport area of Seattle, Seatac, a movement for 15 ran concurrently with her campaign and the vote for that initiative, on the same day as Sawant’s Council victory, gained a narrow majority. In Seattle itself, Sawant was originally the only candidate calling for 15, making it her main campaign demand. At the same time the SEIU affiliate, Working Washington, was demonstrating and striking over it, so that by late September 2013, both candidates for Mayor had jumped on the bandwagon – but they didn’t do it until then, while Sawant and SA had been campaigning on it since April. Build a movement from below – in the streets, the workplaces, union locals and community organizations that would push the Council to implement the strongest possible 15. “According to Sawant, that $15 minimum wage law marked the beginning of a broader social movement. Her message to the troops: Don’t thank the Democratic establishment, the city’s business leaders, the mayor’s office or anyone in Seattle’s ruling class for putting it on the books. Apart from 15, what else? Affordable housing soon became the main issue with three ingredients in the pot – slum landlords, the role of developers, and 100% rent increases from Seattle’s social housing authority. Sawant was the standard bearer inside and outside the Council in calling for rent control. As the Black Lives Matter erupted, Sawant was to the forefront in fighting on issues of police harassment of blacks. She was the only councillor who opposed the building of a new, $2-million youth jail. She took up climate change, protesting Shell’s exploration of the Arctic. She was instrumental in getting the City to rename October 10 celebrations from Columbus Day to Indigenous People’s Day. She had long been involved in LBGTQ issues. Sawant describes her achievements on her own website. So this year’s election arrived. First the primary (yes, this is the U.S. and they have primaries even for Council elections). In August, Sawant came in first with 53% and her opponent, Pamela Banks (an African-American Democrat) got 35%. The remaining candidates were eliminated and the ensuing General Election in November would be between Sawant and Banks. The stage was set for an epic battle. 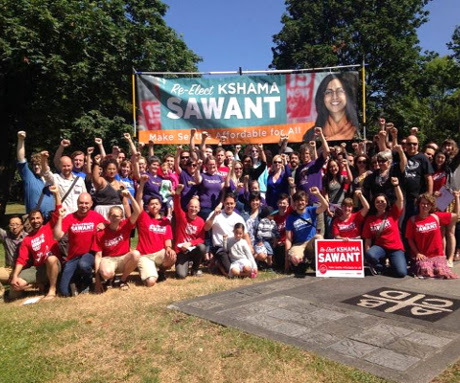 On the one hand was the Sawant grassroots campaign and its backbone, Socialist Alternative – by Election Day, they had raised $450,000 (not a cent from corporate money) and mobilized 600 volunteers. Banks, on the other hand, had to rely on donations from corporate CEOs and support from PACs, including one that was set up by Republicans. The campaign wasn’t just about conducting a head count to see who were your supporters and then building up to a concerted effort to “get out the vote.” Political issues were front and foremost. The campaign was super organized, brimming with enthusiasm from paid and volunteer helpers. There were huge numbers of lawn signs, mailers and literature drops. In addition, you had phone banking and canvassing using state of the art technology. Recording voter information on paper has all but disappeared. “Sawant’s campaign mobilized over 600 volunteers, knocked on more than 90,000 doors, placed more than 170,000 phone calls and raised more than $450,000, with no money from corporate backers. It also engaged in a sophisticated voter ID operation, slicing up the Capitol Hill district into scores of blocs according to turnout and what percentage voted for Sawant in the August primary. The campaign then identified likely voters, ranked them on their degree of support for Sawant, and engaged them multiple times to turn them into votes. It was a concrete example of how labour, when well organized, can beat capital. Banks’ campaign expenditures were mostly on consultants and advertising, while Sawant’s went toward labour and literature. One of the SA fulltimers quipped at the victory party that it was the first half a million dollar Marxist campaign in American history. drivers/pedestrians. And then my favourite – tabling, i.e. putting up tables on sidewalks outside busy shopping areas, giving out literature, asking people if they’ve voted yet (see above about mail-in elections) and getting them to sign a petition rejecting corporate financing of elections. Of course, the politics was important. The most popular T-shirt for the volunteers had the slogan “I’m voting for the socialist.” Never have I felt so much at ease in raising socialist ideas with ‘ordinary’ people. Sawant had tremendous name recognition and was widely seen as someone who gets things done, challenges the powers that be and generally kicks up a storm. But it would be false to conclude that Seattle has gone socialist. It is true that over the past two years, under the influence of Sawant, the Council got dragged leftward. However, in these elections, progressive Democrat challengers didn’t do so well in unseating right wing incumbents (a couple came very close). This may mean that Sawant could be short of Council allies in pushing forward her agenda. Last but not least, the organization that gave backbone to the campaign – Socialist Alternative. The majority of full time campaign workers were SA members, most volunteers were either SA members or supporters. But there were quite a few unaligned progressives working for her and there were local folk who just liked her, were attracted by one or more the issues she was prominently associated with – rent control, 15 Now, LBGQT rights, anti-racism, supporting workers’ struggles etc. And I wasn’t the only one to come from afar to help – a couple of older women (no connection to SA) just turned up from Alaska to spend the last few days on the campaign. Seattle is essentially a one party city – the Democrats. The Republicans have the status of fringe party. This made it easier for a left of centre challenge. In Toronto, whatever the ward, a socialist would be campaigning against what many would perceive as two ‘left’ candidates – Liberal and NDP, even if these two don’t openly wear their party colours at the municipal level. Even following the NDP’s poor showing in the last Federal election, few activists are talking of the need for a new party on the left. Gindin and Hurley wrote 15 months ago that “the capacity certainly exists to hold meetings in Toronto … to bring together those interested in moving to a new politics and to assess possibilities.” I am with them in wanting this to happen but are we any nearer to seeing that first meeting? Even at the first time of Sawant running (2012), Seattle had a cohesive, well organized force in the form of the local SA branch. Toronto has nothing like this. The left forces outside the NDP are weak and have no real tradition of working together. Yes, the capacity exists but can it be realized? Seattle had a charismatic, dynamic candidate with a record of activism in Occupy. 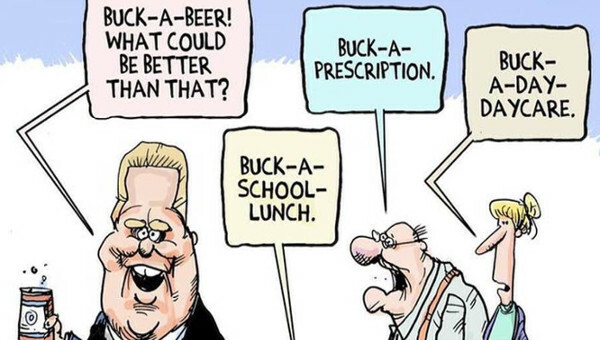 Who would fill that bill in Toronto? The key Seattle trade unions were heavily involved in the fight for 15. The unions in Toronto might pay lip service to 15 but their presence on the ground is minimal. (Of course, 15 might not be the issue to act as a lightning rod in Toronto in 2018 – it could well be something else such as housing or transit). 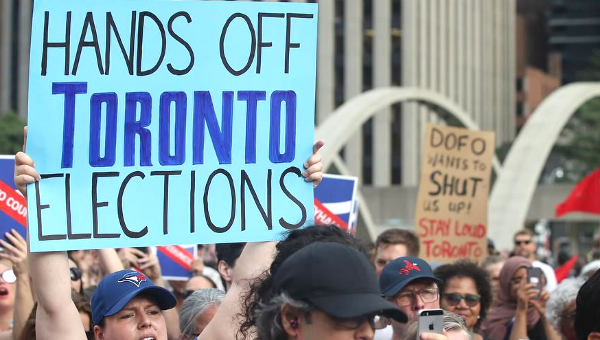 While the issue of standing an independent left candidate(s) in municipal elections is linked to the formation of a national left party outside the NDP, a failure of this party to emerge should not necessarily be a barrier to taking an initiative in Toronto or elsewhere regarding city elections in 2018. After all, SA in the U.S. has long had the position of working to develop a mass Labor Party to the left of the Democrats but the absence of such a party did not prevent them from venturing into electoral politics under their own banner at the local level. Endorsements – can we cut into labour’s traditional support for so-called ‘progressive’ candidates, i.e Liberals or NDPers?